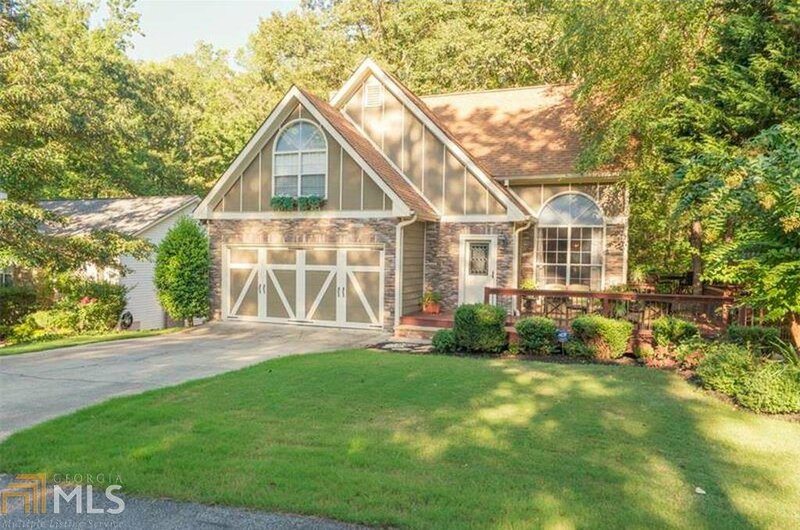 Live Near Lake Lanier! This Immaculate House has Everything You Want-and More. Many Upgrades and Very Well Maintained. Chef Kitchen Overlooks the Private Backyard. Dining Area Has French Doors. Family Room is Bright and Spacious. Beautiful Built In Bookshelves. Large Master and 2 Secondary Bedrooms. Wrap around Deck. Beautiful Yard with Seasonal View of Lake.Terrace Level-In Law Suite has Full Kitchen, Full Bath, Family Room, Bedroom, Laundry and Extra Room for Office/Bedroom. Trail Behind House Goes to Boat Docks -Walk to Little Ridge Park on the Lake- Close to Shopping/Restaurants/Expressway. Great Community. Forsyth Schools and Low Taxes. come See For Yourself Before it is Gone- Warm Weather which Means Lake Weather is Right Around the Corner. Listing courtesy of Property Sellutions. Selling Office: Berkshire Hathaway Homeservices Georgia Properties.